Why would I need self storage in Rancho Mirage, CA? 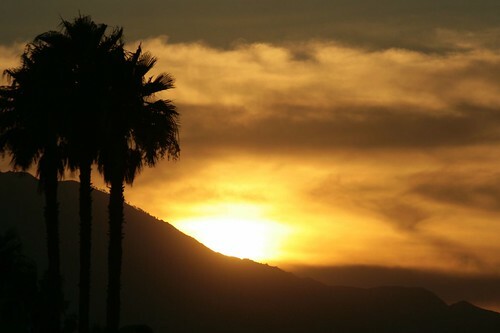 There are a variety of reasons why you might need self-storage in Rancho Mirage, CA. How much is a storage unit in Rancho Mirage, CA? The cheapest storage unit in Rancho Mirage, CA is $78.00 per month. What size storage units do you have available in Rancho Mirage, CA? In Rancho Mirage, CA we have sizes that range from 4'x5' to 12'x30' to suit your storage needs. How much is it for a 4'x5' storage unit in Rancho Mirage, CA? The cheapest 4'x5' storage unit in Rancho Mirage, CA is $78.00 per month. Located in the desert area of Southern California's Riverside County, Rancho Mirage is an affluent neighborhood and one of several cities surrounding Palm Springs. It's perhaps best known as the site of Sunnyland (formerly called the Annenberg Estate), where several U.S. presidents have taken their vacations or held summits with other world leaders. Rancho Mirage is a popular retirement destination, offering warm weather, a number of golf courses and plenty of outdoor activities. Sunnylands, when it was known as the Annenberg Estate, was the city's earliest claim to fame during the first half of the 20thcentury. The estate was owned by local philanthropists Walter and Leonore Annenberg. It was a popular destination for Hollywood celebrities like Frank Sinatra, Ginger Rogers and Fred Astaire for quite some time, and was also chosen as a vacation spot by several U.S. presidents, including Ronald Reagan and Richard Nixon. In addition to offering rest and relaxation to the Hollywood and political elite, Sunnylands is also an important meeting spot for world leaders. Presidents as recently as Barack Obama have chosen the estate as a location for summit meetings with other world leaders, putting the small town of Rancho Mirage on the international stage. Rancho Mirage has a few large employers, including the famed Eisenhower Medical Center and the Betty Ford Center. Other major employers are casinos, country clubs, retail stores and restaurants. Although the city has a higher-than-average unemployment rate, it's due in part to a large number of seasonal jobs and retired locals. Neighboring cities, such as Riverside, provide a variety of job options, and weekend commutes from large cities such as Los Angeles, San Diego and Phoenix are possible. If you're looking for a job in Rancho Mirage and commuting isn't an option, you'll find local options in the industries of entertainment and hospitality. Rancho Mirage is part of the Palm Springs Unified School District. Like in other areas of California, you can enroll your child in any school in the district, provided that the school has enough space to accommodate the student. There is one private school in Rancho Mirage, the Palm Valley School, serving preschool through grade 12. Utilities: The city's central energy providers are Southern California Edison, Southern California Gas and the Imperial Irrigation District. The Coachella Valley Water District manages local water services. Garbage and Recycling: Trash and recyclables are collected on a regular basis in most residential areas of Rancho Mirage. You can also request bulky item pick-up. Transportation: The SunLine Transit Agency provides transportation around Rancho Mirage and the surrounding Coachella Valley. Rancho Mirage offers a range of amenities at a median home price that's in line with the California state average. You'll find many different options to choose from, including single-family homes, apartments and several retirement communities. Our lowest priced units in Rancho Mirage, CA average $106.50 per month. 88 people have reserved units in Rancho Mirage, CA in the past 30 days. There are 2 locations within Rancho Mirage, CA's city limits. There are 2 locations in Rancho Mirage, CA that offer AC and Heating features.